Heat oven to 350°F. Line cookie sheets with cooking parchment paper or silicone nonstick baking mats. Into large bowl, crumble 1 roll Pillsbury™ refrigerated sugar cookies with hands. 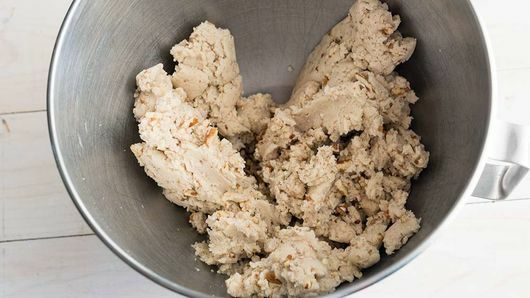 Add 1/2 cup all-purpose flour, 3/4 cup finely chopped pecans or walnuts, and 1/2 teaspoon vanilla; mix with electric mixer until dough is stiff and well combined. Shape dough into 1 tablespoon balls (about 40); gently flatten each ball. For each cookie, place 1 milk chocolate candy or several chips in center of each flattened ball. Place second flattened ball of dough on top of candy; press edge to seal and roll between hands to make a ball. Place cookie sheets. Bake about 10 minutes or until edges are just slightly golden. (Depending on candy used, balls may flatten more than others.) 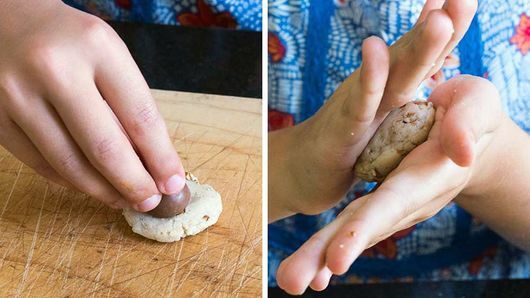 Cool 2 to 3 minutes on cookie sheets until they can be picked up without falling apart. Place 1 1/2 cups powdered sugar in small bowl. 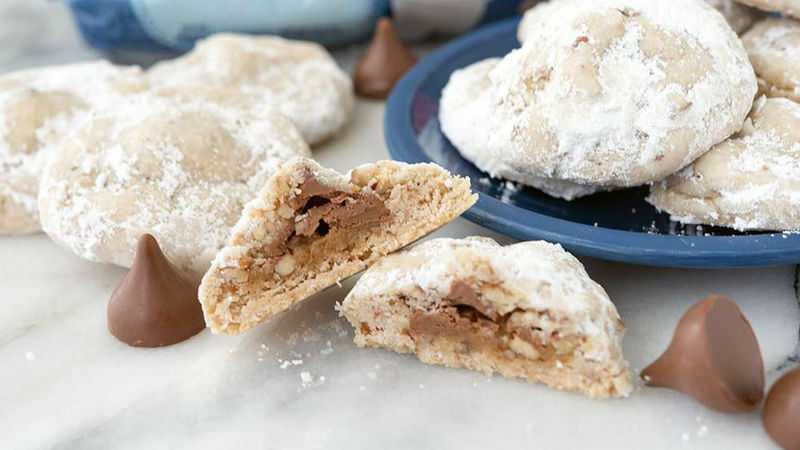 Roll each cookie in powdered sugar to coat. Store cookies in airtight container up to 4 days. 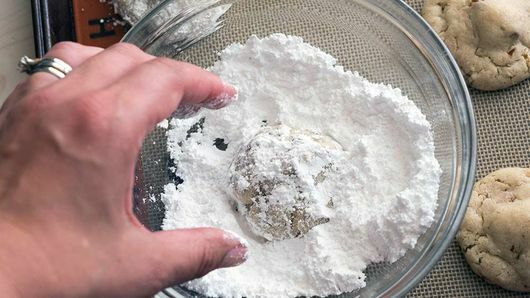 For a super-powdered sugar look, re-roll the cookies a second time before serving. Peanut butter cups or caramel candies would also be great for stuffing inside!